“It’s hell living in a tourist trap.” So says Rita Epiphyte, a young woman born beneath Pedro’s sombrero at South of the Border in Dillon, South Carolina. Tourist Attraction Trauma. It’s a little known affliction, but the National Association of Tourist Attraction Survivors (NATAS) is striving to bring it to the forefront of American consciousness. Unlike tourists who can laugh off and leave behind sombrero towers, jackalopes, and wax statues of the biblical Job, Tourist Attraction Trauma survivors cannot so simply walk away. Perhaps you see yourself, your upbringing, in even the snippets of stories above. Perhaps you too are a victim of Tourist Attraction Trauma. NATAS urges you to consider the following questions, to consider whether you also need help. That is, after all, why NATAS is here. • When you talk about your childhood, do people laugh and say, “Stop making such a big deal out of it, it’s only a tourist trap” (or roadside attraction, or museum exhibit, etc.)? • When you travel, are you careful to avoid stopping at any place that looks “interesting” out of respect for the locals? If you answered “yes” to any of these questions, you may be suffering from Tourist Attraction Trauma (TAT). 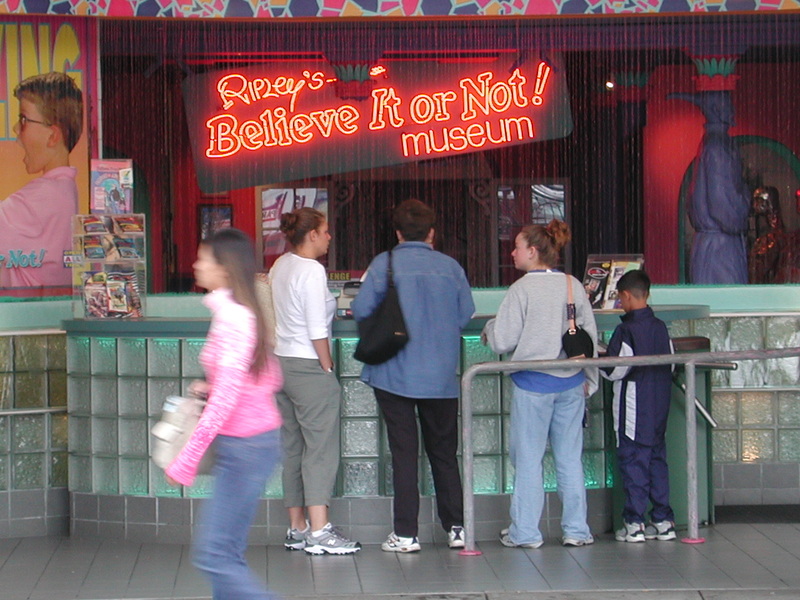 The National Association of Tourist Attraction Survivors is here to help.